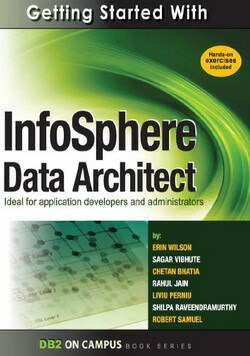 InfoSphere Data Architect (IDA), formerly known as Rational Data Architect, is the premier tool from IBM for database design and more!. Learn how to use it in conjunction with DB2 Express-C, the no-charge edition of DB2. Since IDA is built on top of Eclipse, you can integrate it easily with other tools from IBM such as Data Studio also built using Eclipse technology. This book is for beginners in IDA and also in data modeling. Erin Wilson is an information developer working at IBM's Silicon Valley Laboratory.